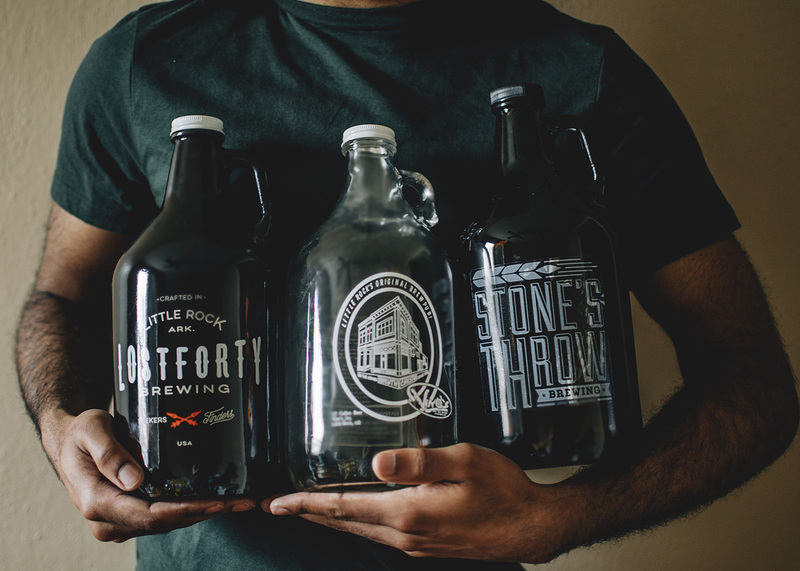 The unofficial start of the beer festival season in Central Arkansas is this Friday at Dickey Stephen Park in North Little Rock. The 22nd Annual Food and Foam Fest is back with more than 400 different beer, wine and spirit samples to enjoy from Arkansas and beyond. All of your favorite local breweries will be in attendance from 6 p.m. until 9 p.m. Admission to the event is $40, but if you consider yourself a beer geek, you’ll probably want to get the $65 VIP admission. That will get you in at 5:15 and get you access to some rare brews, like Kentucky Breakfast Stout and Canadian Breakfast Stout from Founders Brewing. VIP ticket holders will also have access to free barbacoa taco bowls from Petit and Keet executive chef Steve Binotti. There is also a $20 designated driver ticket. Proceeds from Foam Fest go to Arthritis Foundation Arkansas, which works to support arthritis research and provide access to quality care. It’s been almost two months since the last Moody Brews release, but Josiah Moody is back this week with one of his classics. Aria’s Bier will go on tap at Vino’s Brewpub some time this week. Aria’s Bier is a 5 percent ABV saison brewed with orange peel and hibiscus flowers for a smooth, tart flavor. Moody described it to me as resembling under-ripened strawberries. He also said this is the best batch he’s made of Aria’s Bier. Right now, he’s just waiting for a tap to open up at Vino’s; keep your eye on the Moody Brews Facebook page to see when it’s available to the public. Lost Forty Brewing this week has a couple of returning brews for its Freshcut Monday release. First is the 2019 version of Month of Sundays Amarillo Pale Ale. It’s a 5.5 percent ABV pale ale featuring Amarillo and Crystal hops with a citrus bite and a clean finish. This has become Lost Forty’s flagship pale ale, and you can find it in cans at the taproom and around the state (it’s also on tap today). Lost Forty today is also releasing its 11th iteration in its Wild Barrels Project series, Jupiter Fruited Sour Ale. Jupiter first came out on New Year’s Eve, and now its back for a bigger release. This one takes Lost Forty’s Day Drinker Belgian Blonde and ages it 22 months in a mixed-culture red wine barrel. The resulting ale is then fermented twice on Arkansas Jupiter grapes. This one is only available in large-format bottles to go. Both releases start today at 4 p.m.
Flyway Brewing last week released its Peregrine Pale Ale in six-pack cans at the taproom, and it’s one you want to check out. Peregrine is a superb pale ale that should travel well as lake season approaches. Later today, Flyway is hosting Arkansas Fly Fishers for a social evening where visitors can learn about tying fly fishing lines and exchange fishing stories. Then on Saturday from 11 a.m. until 3 p.m., Flyway is hosting a “Pre-Paws on the Runway” event benefiting the Central Arkansas Rescue Effort (CARE). This event will be held in the parking lot with a silent auction, games for the family and some adoptable dogs on hand. Proceeds go to benefit CARE, which will host its Paws on the Runway event in May. Stone’s Throw Brewing this week will be in Conway for a special beer dinner with Wunderhaus Restaurant. The beer dinner Wednesday will feature six courses paired with Stone’s Throw beer. The folks at Wunderhaus got their start cooking in a food truck behind Stone’s Throw, so this dinner is sure to be a special one. Tickets to the dinner are $65. Then for its #NewBrewFriday release, Stone’s Throw is debuting its Pedio Sour Doppelbock, a traditional bock beer that has aged with pediococcus bacteria for nearly a year. This unique brew goes on tap at 4 p.m. Friday.